Sterling silver ring with cubic zirconia by Monaco Bijoux. 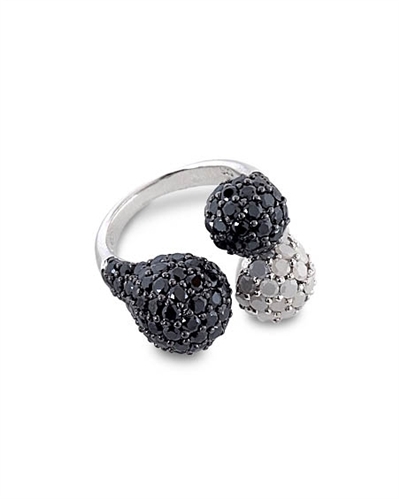 This elegant designer ring features three clusters of cubic zirconia stones, one white and two black. A unique ring, also makes a perfect gift.